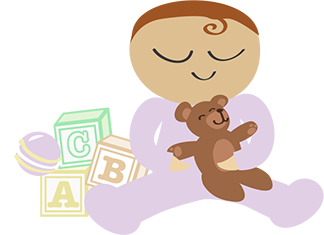 You have the option of creating your own birth support package, whether it includes labour and birth support, and/or the HypnoBirthing® course, postpartum support or any combination you wish. I will meet with you and your partner, if applicable, at your home at least three times before you give birth to become acquainted with you, to explore and discuss your priorities, to prepare for labour and to address any fears or concerns you may have. I’ll be on call for you 24/7 from the time you decide to hire me, regardless of your expected due date. Once in labour, you can call me at any time. I will support you as you settle in for a home birth, or transfer to hospital or birthing centre. I will continue to support you through your labour with comfort measures until your baby is born. Comfort measures include massage, body positioning, toning and I also carry a Tense Machine. After birth, I am happy to help with breastfeeding, assist with shower, etc. I will stay with you until you are comfortably settled in and ready to rest. I will gladly take pictures at key moments to capture precious images during labour and after birth if you wish. I’m also happy to support you postpartum if you have any questions or concerns. Due dates are only estimates. As my client, you are my highest priority, and a backup doula will only be called in the unlikely event that I am unable to attend your birth. I work closely with experienced Ottawa doulas, including Victoria Kellett and Cat Binette. We back each other up to ensure that our clients receive continuous support. I’ll schedule a postpartum visit at your convenience for feedback and to admire your baby. I am always happy to support you by phone, email and text at any time while we are working together. My bookings are on a first-come, first-served basis, so please get in touch as early as possible. However, if you require services and are approaching your due date, please get in touch as there may be last-minute availabilities. I also have a small lending library of various books and DVDs available to clients.